Fans, Trolls, Grey Vampires, and Masters | Larval Subjects . It’s always other people who are ‘fans’: our own attachments, we like to pretend (to ourselves; others are unlikely to be convinced) have been arrived at by a properly judicious process and are not at all excessive. There’s a peculiar shame involved in admitting that one is a fan, perhaps because it involves being caught out in a fantasy-identification. ‘Maturity’ insists that we remember with hostile distaste, gentle embarrassment or sympathetic condescenscion when we were first swept up by something – when, in the first flushes of devotion, we tried to copy the style, the tone; when, that is, we are drawn into the impossible quest of trying to become what the Other is it to us. This is the only kind of ‘love’ that has real philosophical implications, the passion capable of shaking us out of sensus communis. Smirking postmodernity images the fan as the sad geekish Trekkie, pathetically, fetishistically invested in what – all good sense knows – is embarrassing trivia. But this lofty, purportedly olympian perspective is nothing but the view of the Last Man. Which isn’t to make the fatuous relativist claim that devotees of Badiou are the same as Trekkies; it is to make the point that Graham has been tirelessly reiterating – that the critique from nowhere is nothing but trolling. Trolls pride themselves on not being fans, on not having the investments shared by those occupying whatever space they are trolling. Trolls are not limited to cyberspace, although, evidently, zones of cyberspace – comments boxes and discussion boards – are particularly congenial for them. And of course the elementary Troll gesture is the disavowal of cyberspace itself. In a typical gesture of flailing impotence that nevertheless has effects – of energy-drain and demoralisation – the Troll spends a great deal of time on the web saying how debased, how unsophisticated, the web is – by contrast, we have to conclude, with the superb work routinely being turned out by ‘professionals’ in the media and the academy. To K-Punks bestiary, I wonder if we shouldn’t add Minotaurs and their Labyrinths. One of the most frustrating things about the trollish figure of the scholar is the manner in which they proceed as minotaurs presiding over labyrinths. For the Minotaur it is never possible for there to be a genuine philosophical difference or a genuine difference in positions among philosophers. Rather, the Minotaur converts every philosophical opposition into a misinterpretation. The text(s) guarded by the Minotaur thus become a Labyrinth from which there is no escape. The Minotaur is even willing to go so far as deny explicit textual evidence to the contrary, speculating about the motives animating the Minos-Master they defend, suggesting that the thinker was either being humble or didn’t really mean such and such or that it is just a manner of speaking. The goal of the Minotaur, of course, is to insure that there is never any subsequent philosophy, but rather that the practice of philosophy consist in endlessly combing over the bones of the past. Philosophy as archeology, and not in Foucault’s sense either. Any living culture for these archeologists is an affront. 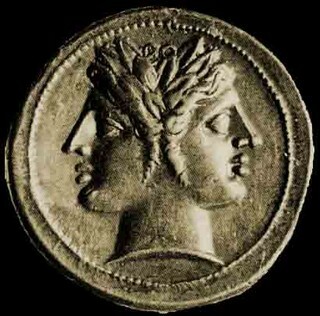 The Minotaur is, above all, Janus-Faced, allowing one set of principles for the Minos-Master he defends and demanding another for all those that refuse homage to Minos. Thus, for example, the Minotaur that defends Kant’s Labyrinth sees no contradiction in the fact that Kant reduces Hume’s position to a brief few sentences without a detailed engagement with the Treatise and the Enquiry, while demanding a nuanced and careful analysis of Kant’s entire body of work from anyone who protests. 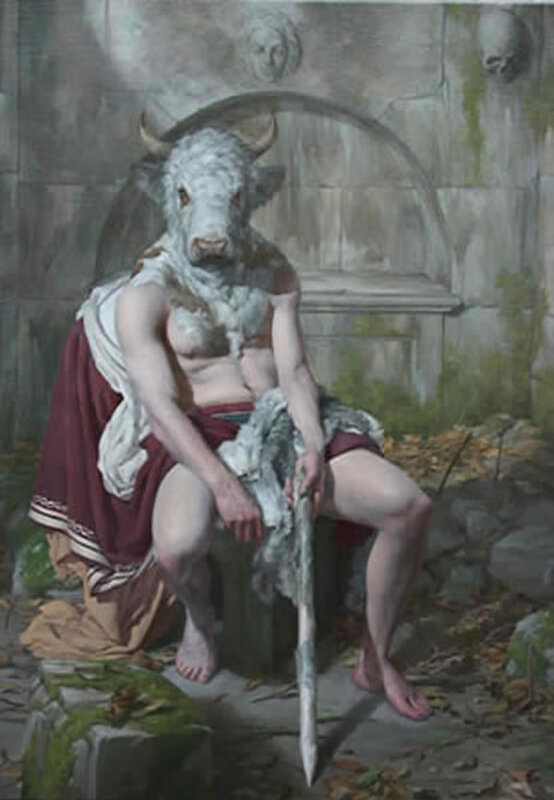 In this connection, the Minotaur is also an acrobat, athletically finding ways to strain the text beyond all clear interpretation, raising something written in the margins to the center of the text, always insuring that the Minos-Master says whatever he desires him to say. I love that you call that figure the Minotaur. I’m going to have to read about the Minotaur now. I find that move – “I disagree.” “No, you misunderstand.” – incredibly infuriating. I saw that happen to people a lot in my first bit of grad school and I found it so offputting I considered quitting. I also tried to keep my mouth shut a lot because watching that happen to other people suggested to me that a fair amount of the time grad school was not a place where substantive discussion over disagreements was likely to happen. This is part of Ranciere’s book The Ignorant Schoolmaster struck me as much as it did, he spoke directly to that experience. Good call, Dominic. Hadn’t thought of that, but one or two examples immediately popped to mind. They’re not quite trolls, because usually they wish you somewhat well. I was going to suggest Theseus, but probably “Icarus” is even better– they just want to fly right out of every labyrinth, no matter how dangerous it is. However, the Icarus type is less frequent in our midst than the minotaur, I think. I always thought that Minotaur was a prisoner of the labyrinth, not its keeper. Wouldn’t Minotaur then represent someone who is hopelessly trapped in someone else’s labyrinth? A sort of an unfortunate child of a curse, a joke of the gods who wanted to punish disobedient Minos, a monster whose death at the sword of Theseus is a kind of euthanasia. Minos is the real monster in the story, including demanding that Athenians sacrifice their young, is he not? It is always possible to nitpick anything that anyone ever says about anything. And Mikhail will always be right here, finding a way to do it. I wasn’t “nitpicking,” kind Sir, I was developing the imagery of “minotaur” and “labyrinth,” helping the story along, if you will, but surely I should have expected you to censor my sincere remarks and make fun of them, I forgot for a second that this is your blog now. My bad.